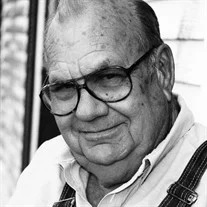 Clarence Junior “Pop” Taylor, 79, of Rossville, passed away Friday, March 22, 2019. He had lived in the North Georgia area for most of his life and was a member of Faith Baptist Tabernacle in Flintstone. He had worked as an auto mechanic and enjoyed spending time with his grandkids, taking them fishing, and just being with family and friends. He was preceded in death by his mother, I.V. Taylor; father, Odes Taylor; wives, Nancy Taylor & Shirley Jean Taylor; brothers, James, Raymond & Randolph Taylor; sister, Margaret Taylor; grandson, Jessie Taylor; and son-in-law, Leon Hogsed. Survivors include his children, Eddie & Kim Taylor, Jane Hogsed, Tammy & Brian Thomason, B.J. & Greg Jetter, Angerleak & John Kile and Michael McLemore; brother, Roy Taylor; sisters & brothers-in-law, Brenda & Esten Henson, Ruby & Ronnie Thomas, Violet & Steve Gray, Shirley & John Morris and Carolyn Hise & Tim Ross; 70 grandchildren, great-grandchildren and great-great-grandchildren; and numerous extended family & friends. Funeral services will be held at 1 p.m. on Tuesday, March 26 in the Fort Oglethorpe Chapel, with Bro. Steve Brandon officiating. Burial will follow in the Tennessee-Georgia Memorial Park. The family will receive friends after 11 a.m. on Monday and prior to the service on Tuesday at the funeral home. Arrangements by W.L. Wilson & Sons Funeral Home-Fort Oglethorpe.